Due to current water main construction on Cedar Ave, it is necessary to temporarily chlorinate GMMWC’s water system to ensure continued clean drinking water throughout the construction process. You may taste or smell chlorine in your water for a few days. This is normal, and the water is completely safe to drink. 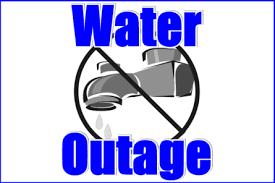 Date: Monday, 06/19/2017 Time: 10:00AM until Completed (Several Hours) Affected: Cedar Ave, Cedar Ct, Oak Ave, Oak Ct, Ponderosa Ave Reason: Water main upgrades Please keep water for drinking, sanitation and pets on hand to get you through this outage. Starting at approximately 10:30AM on Friday, April 28th, 2017. Planned water outage for system repairs: water will be shut down for several hours so please prepare for a day long outage. Thank you. Frank reported that pump and booster running times have averaged 2.4 hours per day over the last month. Standing water levels have changed with standing water levels at 40-feet at well one, 20-feet at well two, and the horizontal well is producing 9-gallons per minute. Frank reported no problems with pumping over the last month.